Brooklands airfield in Surrey is still well-known as the birthplace of British motorsport and aviation. What is not so well known is that from 1910 until 1939 Brooklands-trained pilots pioneered flying in Britain, founding both the RAF and the UK's aircraft manufacturing base as well as going on to crew the fledgling airline industry. 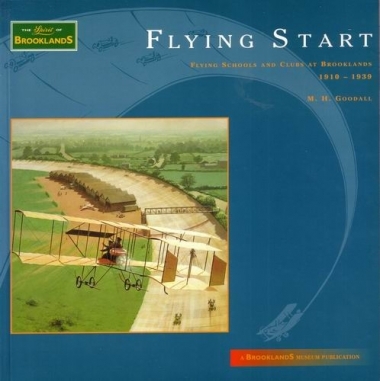 Flying Start is the story of this historic airfield and the pioneers it bred, who laid the foundations of the modern aviation world.